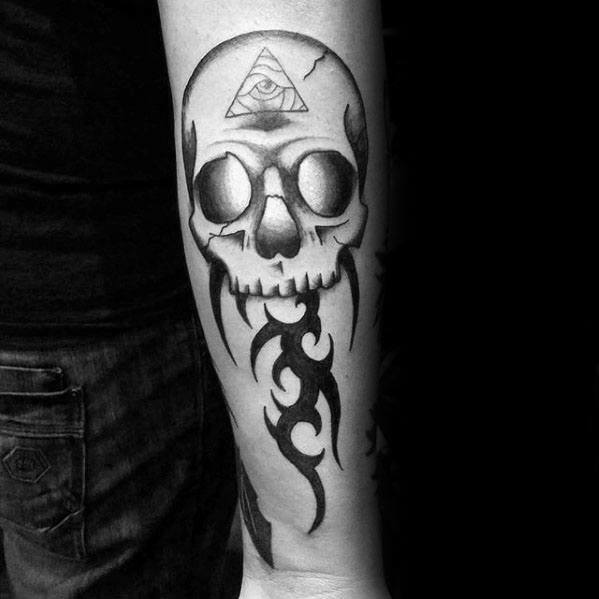 Nothing commands respect like a tribal skull tattoo. 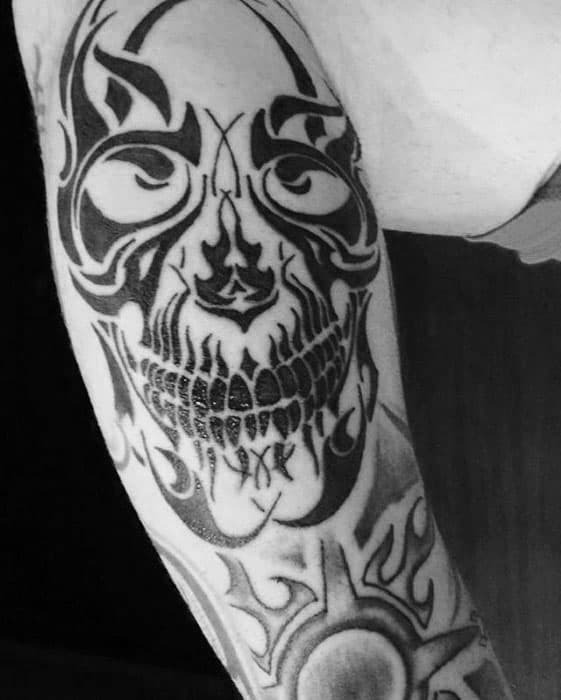 Some people will love it. 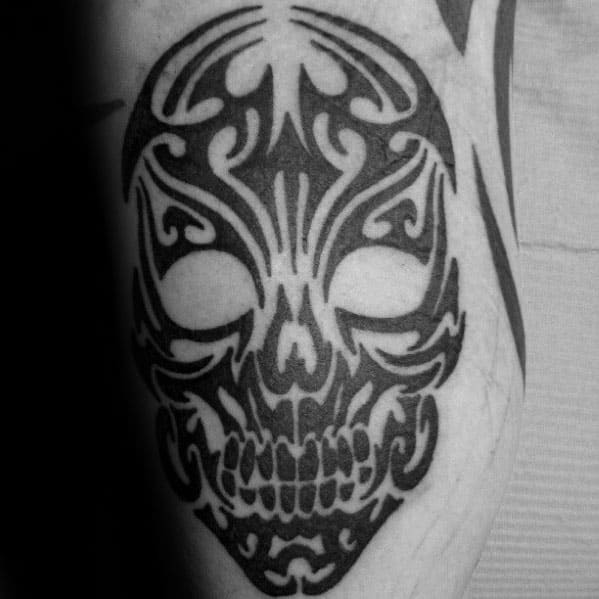 Some people will fear it. 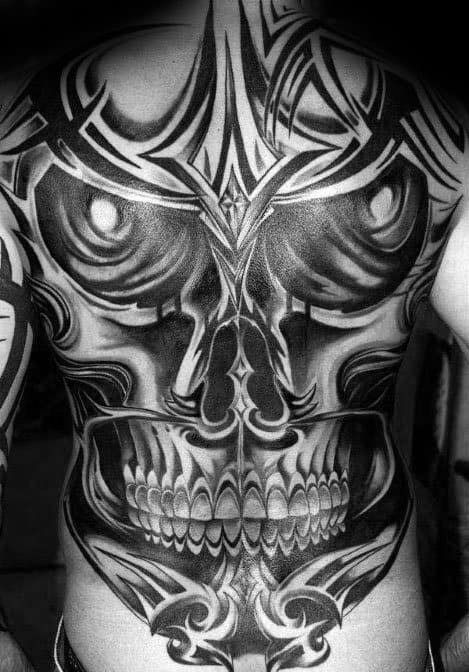 But one thing is for sure, people will definitely spend time staring at it. 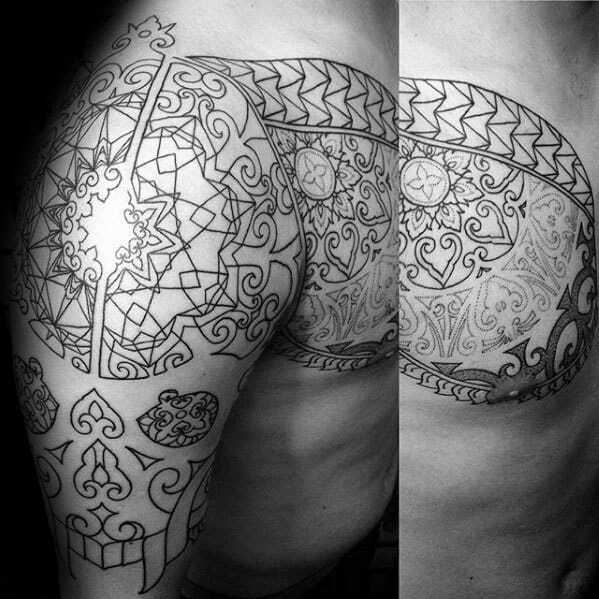 With this style of tattoo, the tribal design aspect of the tattoo will usually vary. 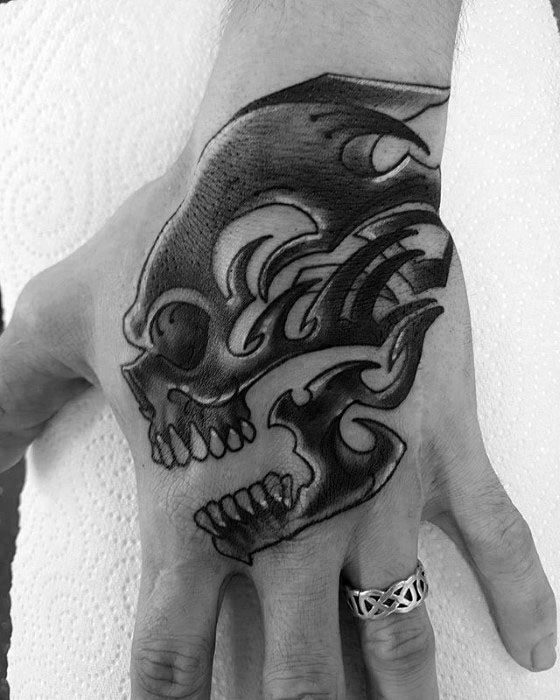 So like fingerprints, this tattoo has sort of a unique individual vibe. 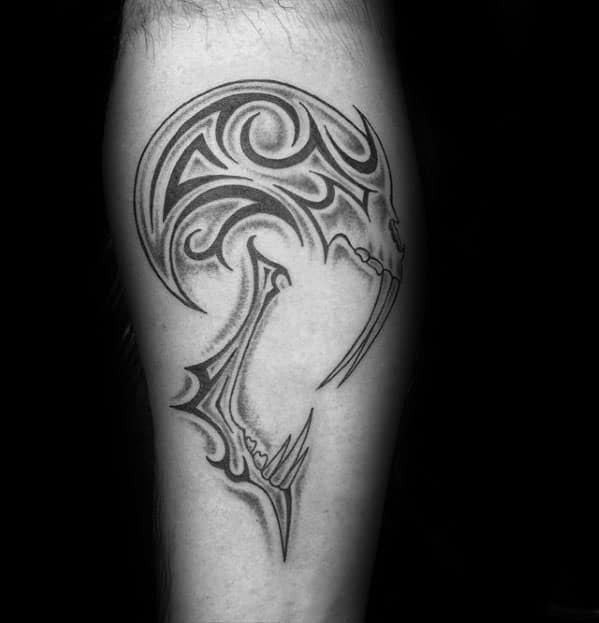 Nevertheless, the tribal design still provides a sharp, bold, and fluid image. 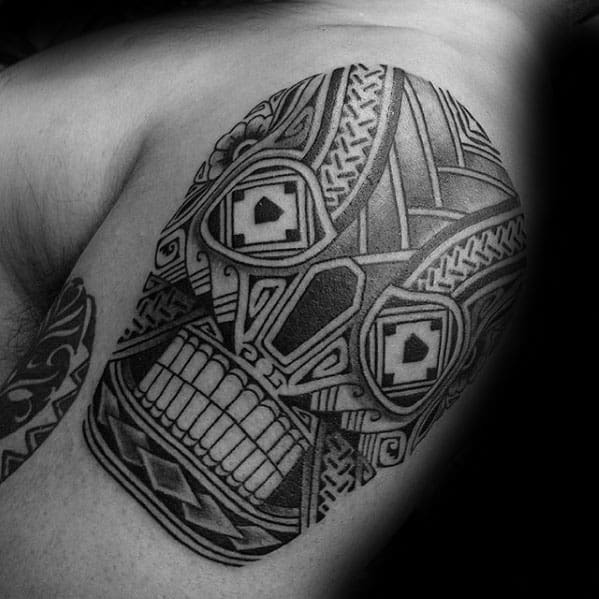 Coincidentally, many men with this type of tattoo also possess a sharp, bold, and fluid personality. 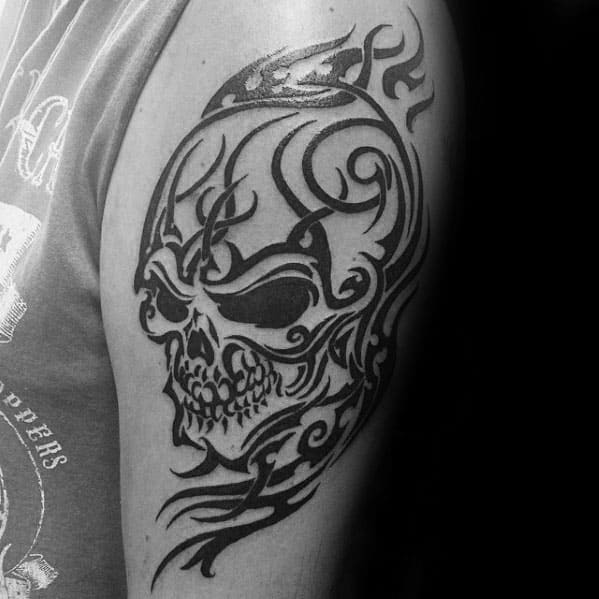 A free spirit knows no boundaries for it fathoms that nothing is strong enough to contain it. 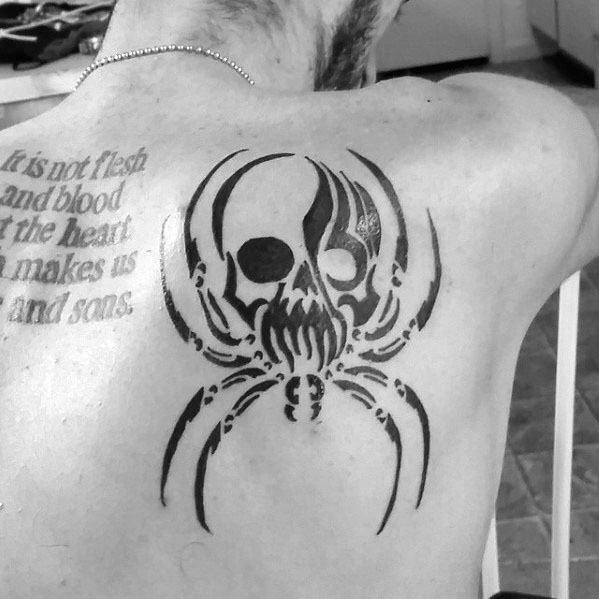 No doubt, he is part rogue as well as resolute. 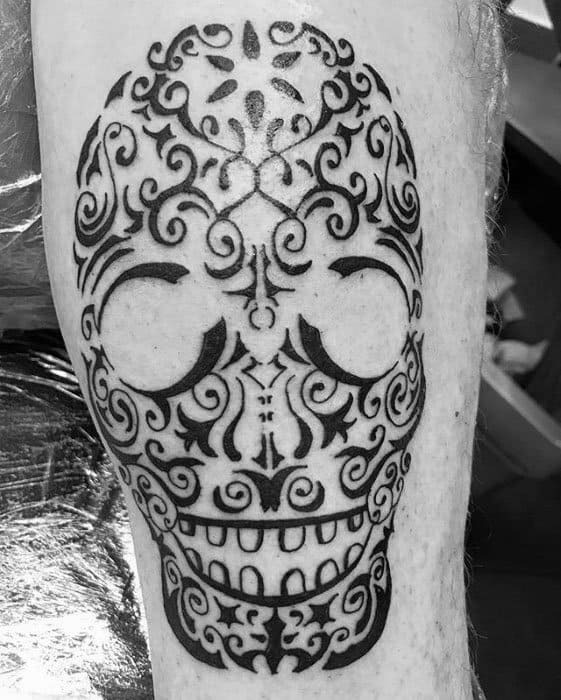 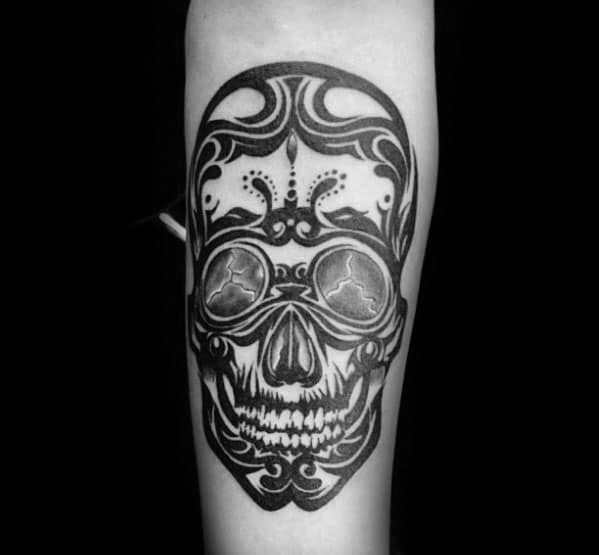 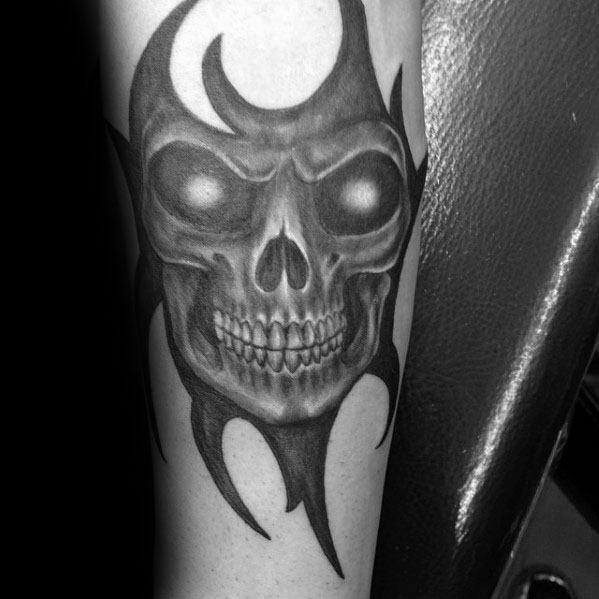 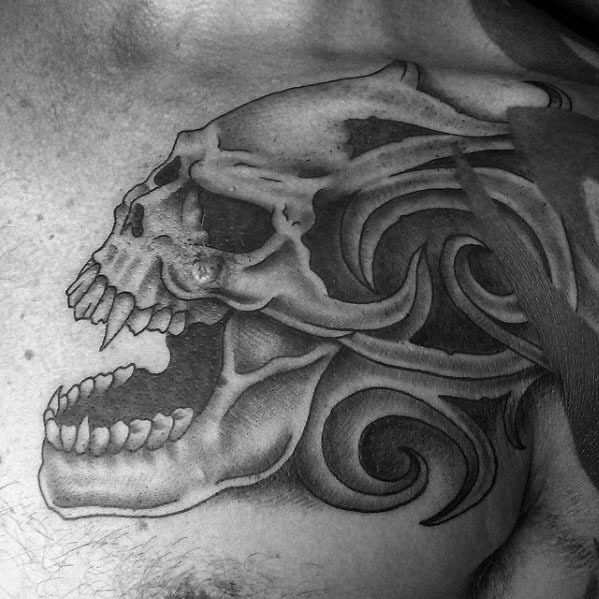 Although this tattoo contains a skull, there is nothing dead about it. 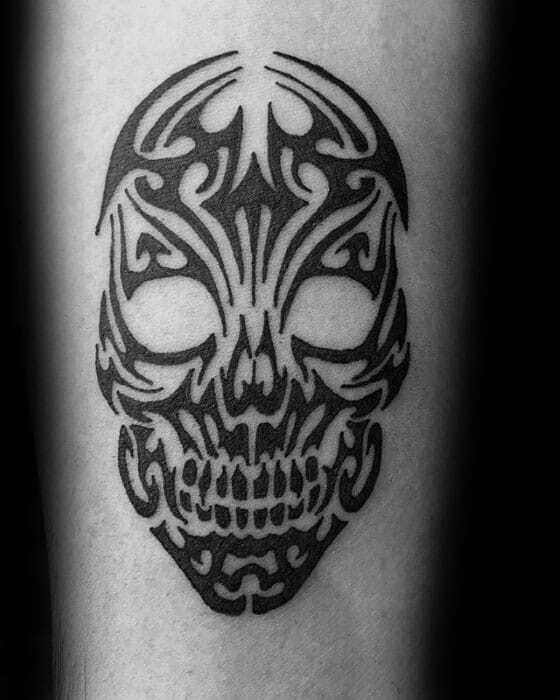 What is an unorthodox presumption behind the smirk of a skull? 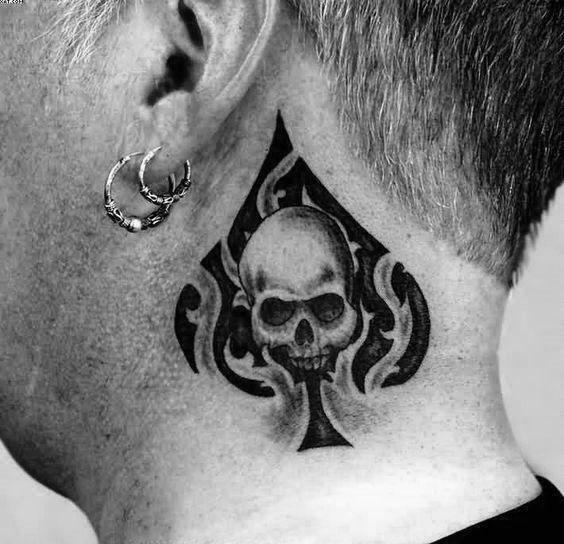 Perhaps it realizes that no one can do anything to change the fact that it has a hard head! 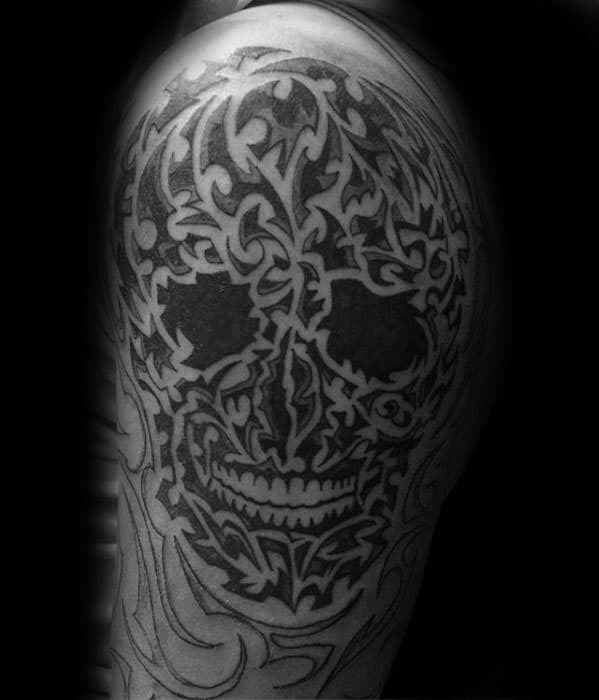 It is naturally part of each and every man. 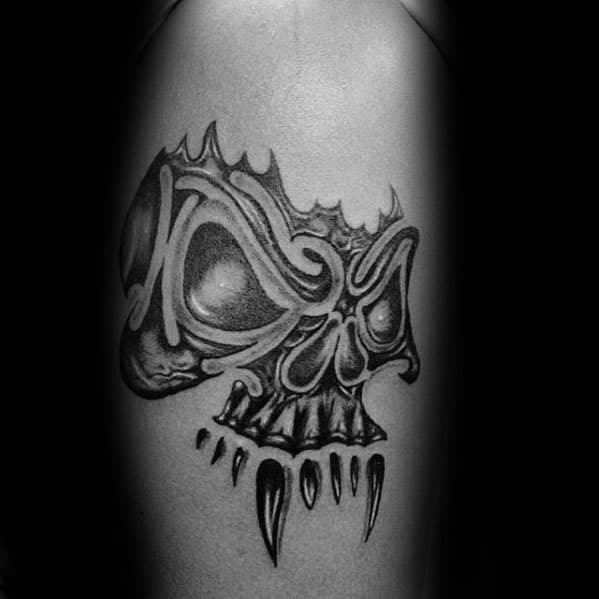 The incessant returning gaze of the skull lays the check mark for this man’s tenacious tendencies. 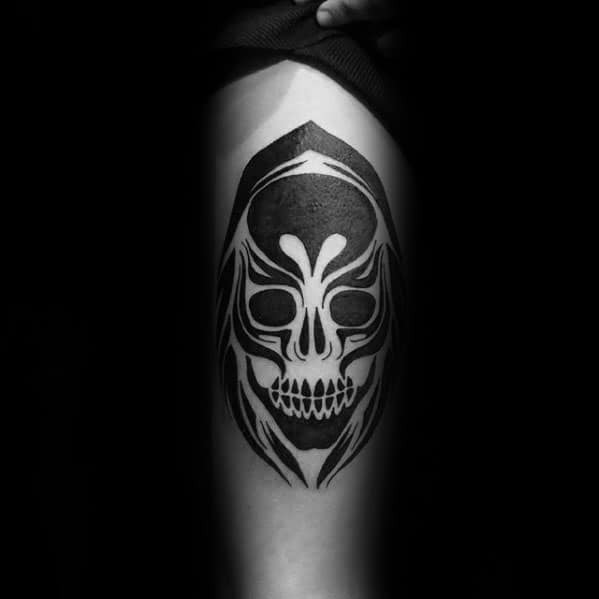 No need to stray away from his path. 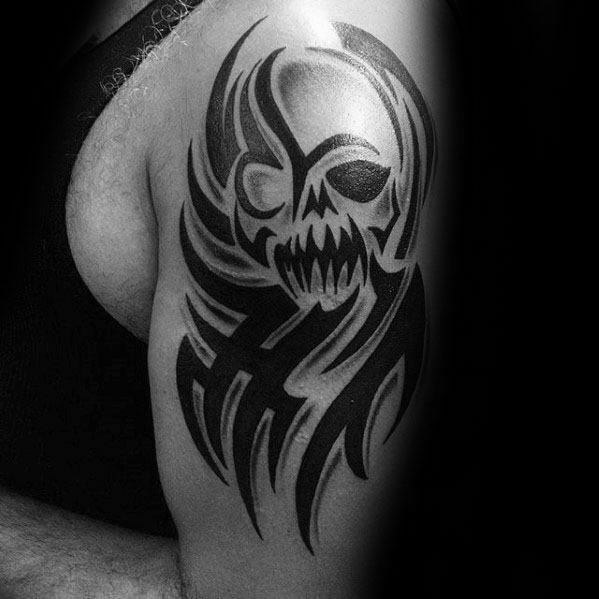 Indeed, his target is in sight! 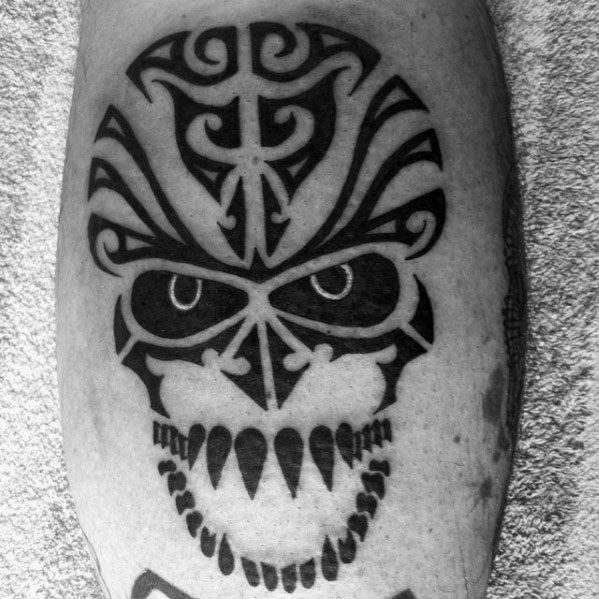 Instinctively, his tribal nature kicks in and before it is even realized, the prey is conquered. 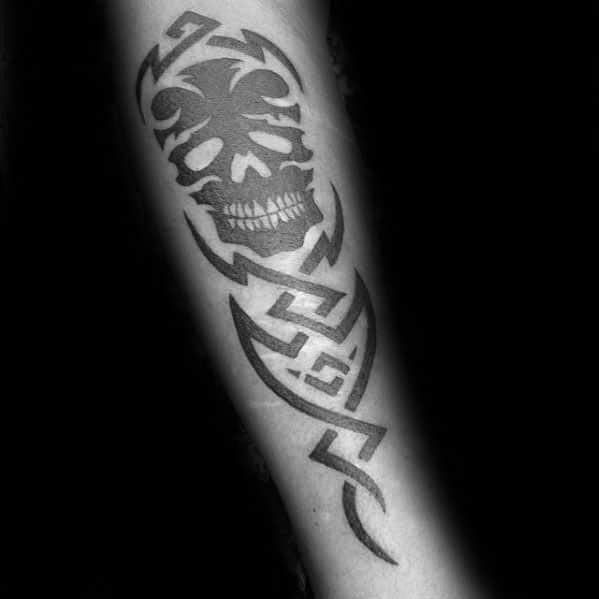 Hone in on that raw emotion for nature knows best. 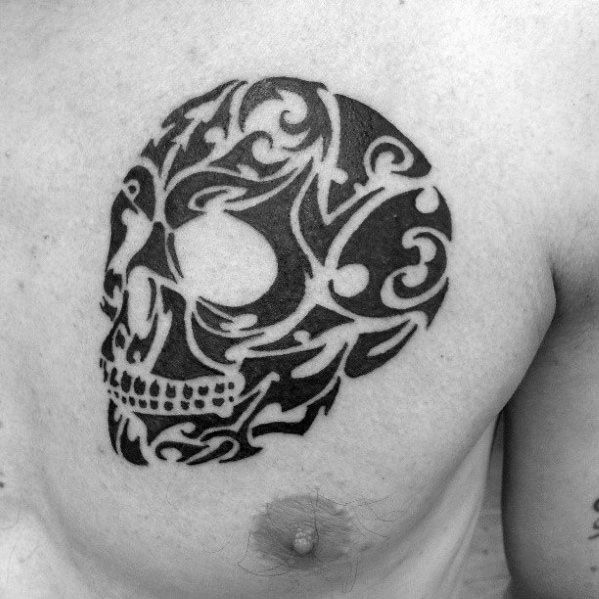 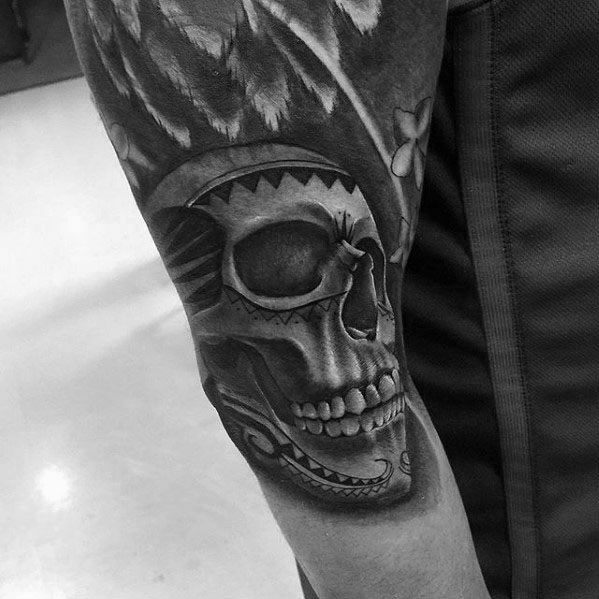 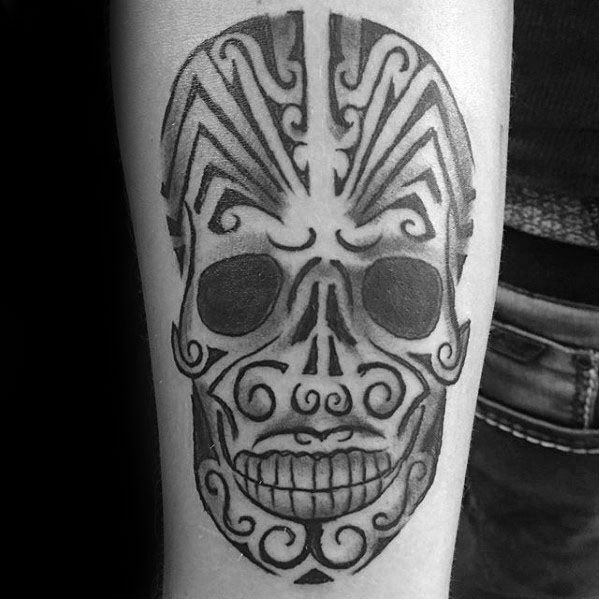 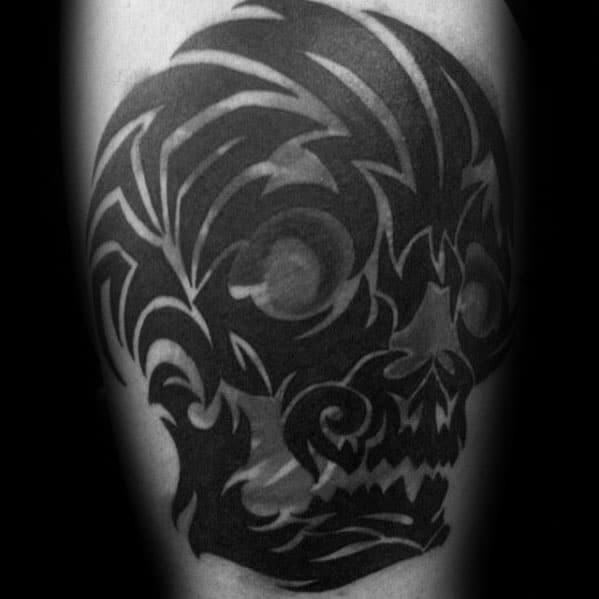 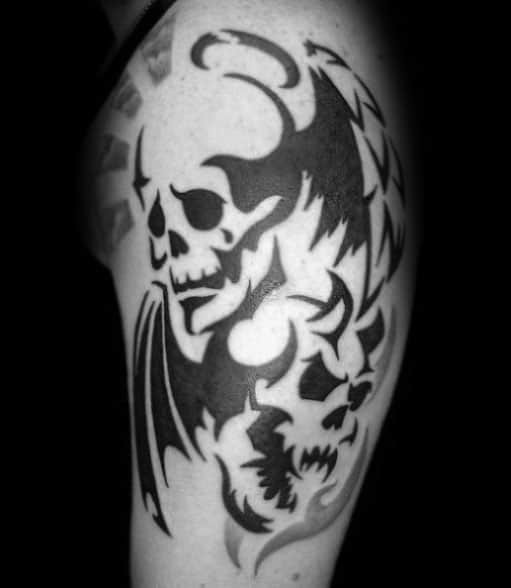 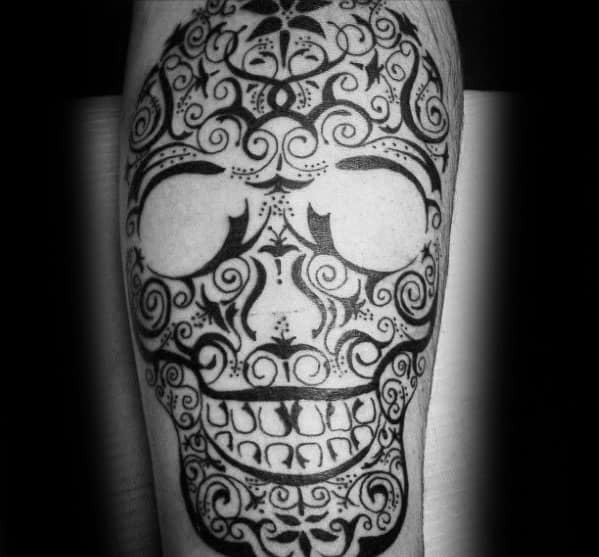 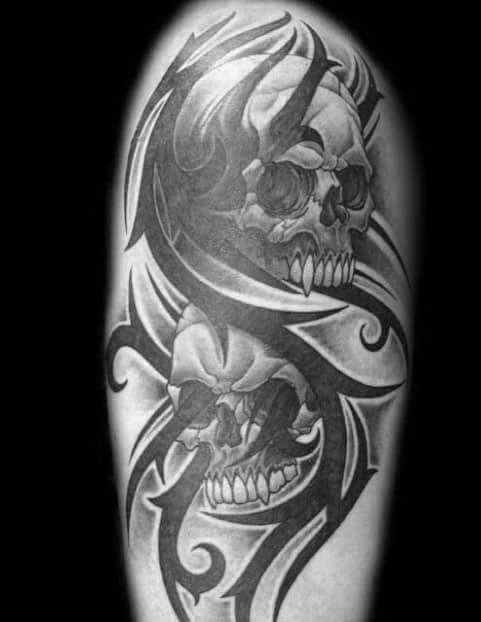 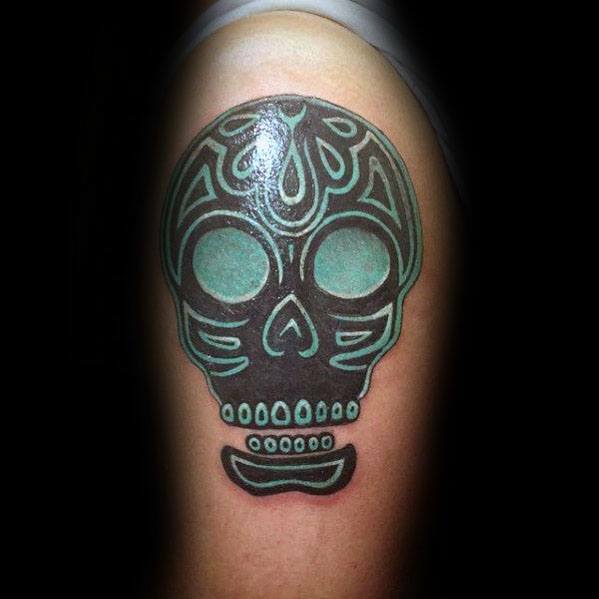 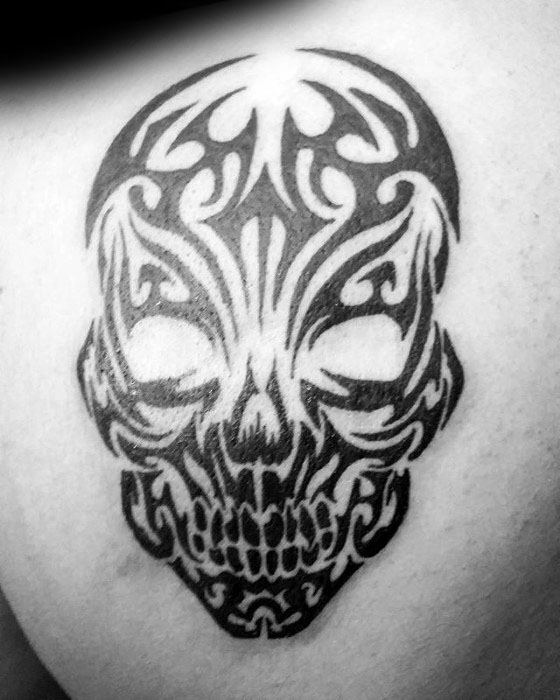 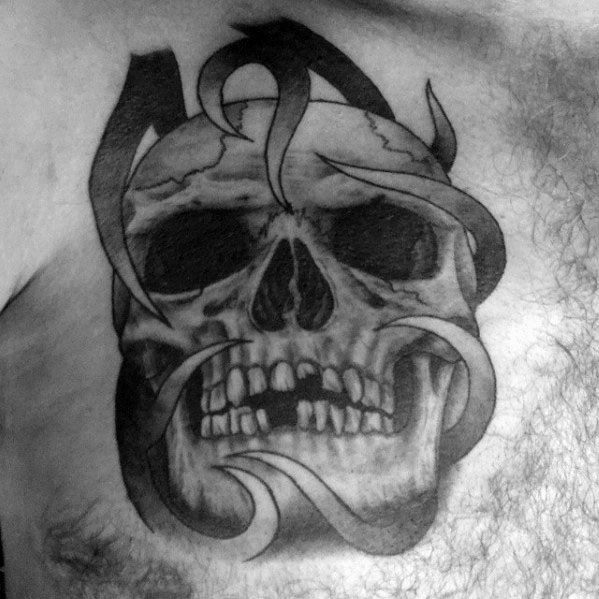 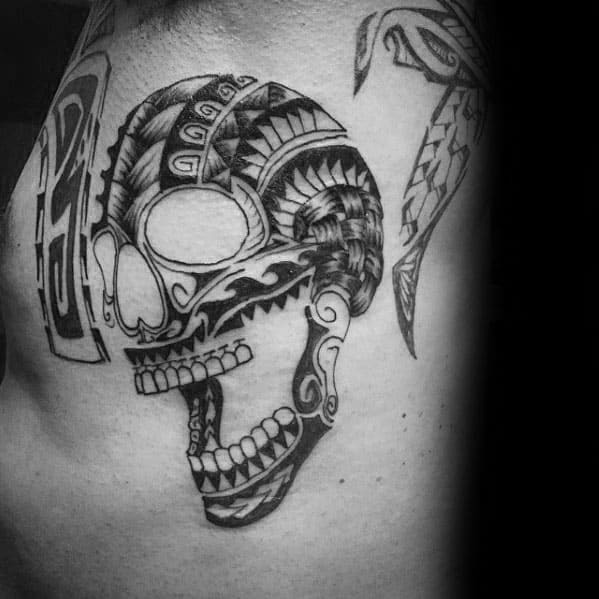 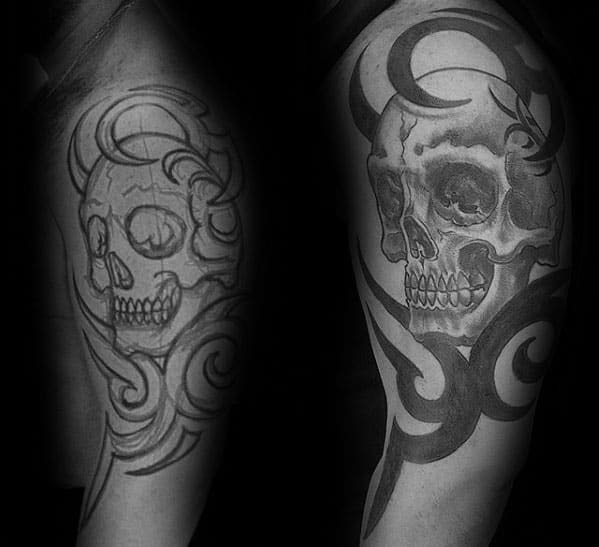 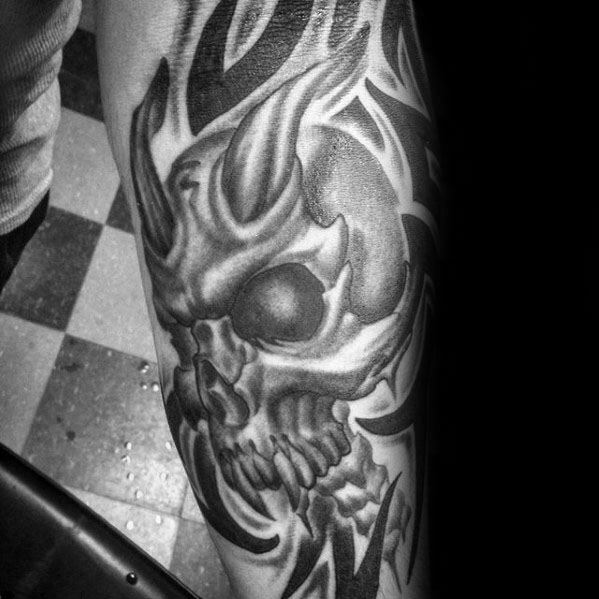 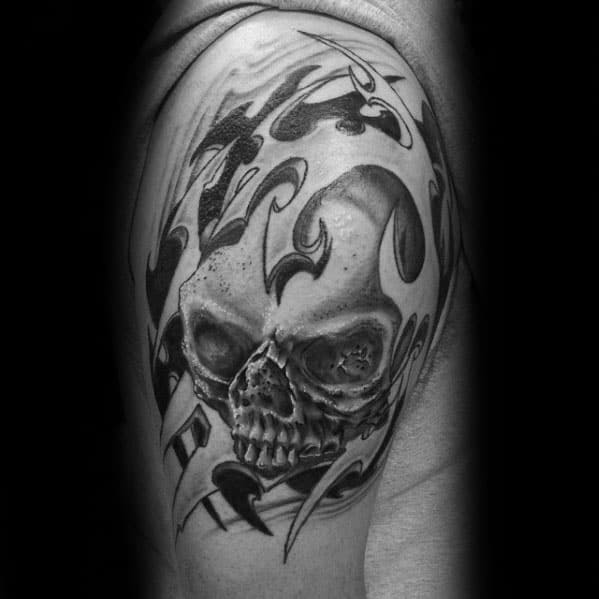 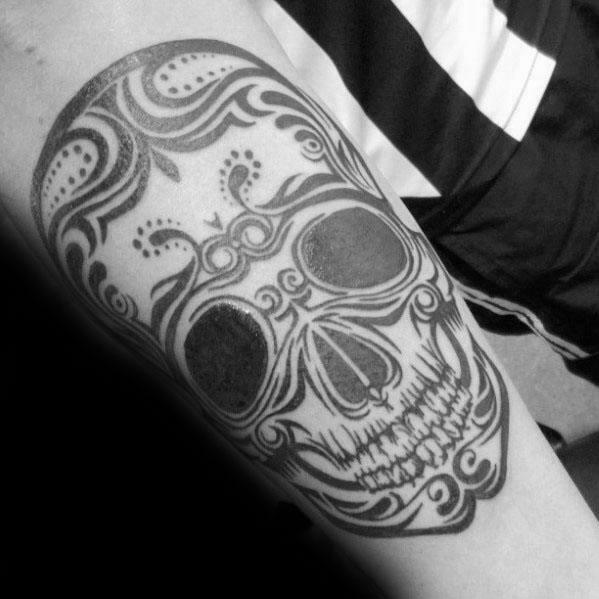 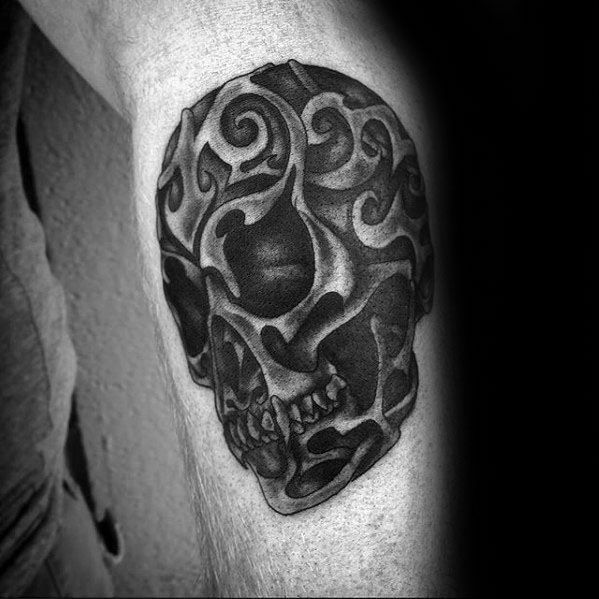 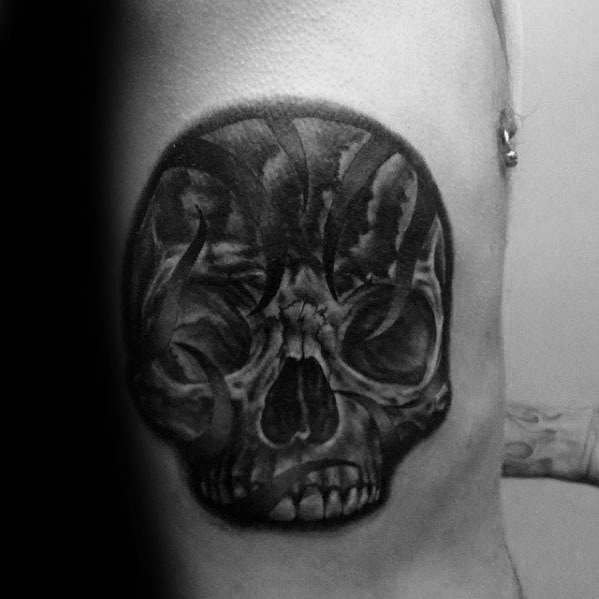 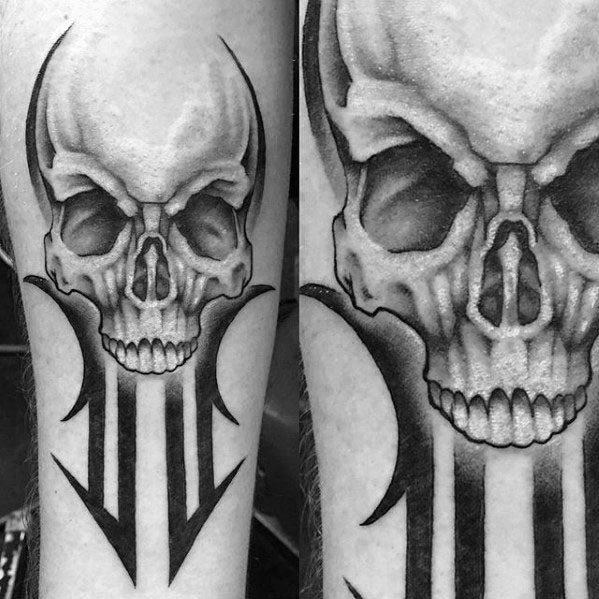 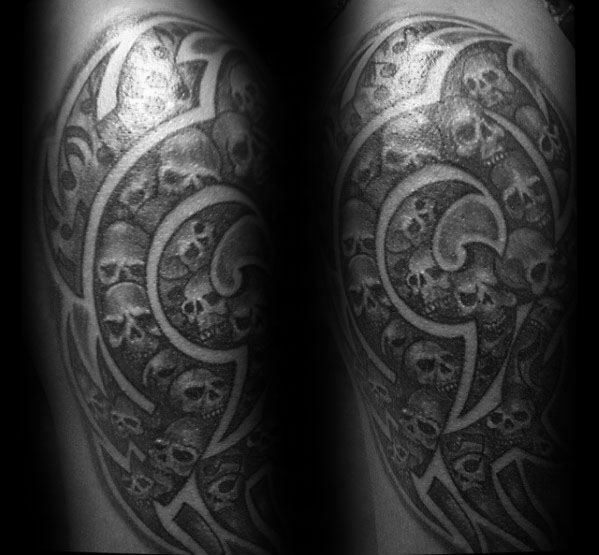 The tribal skull tattoo is the straightforward icon for the man with a purpose. 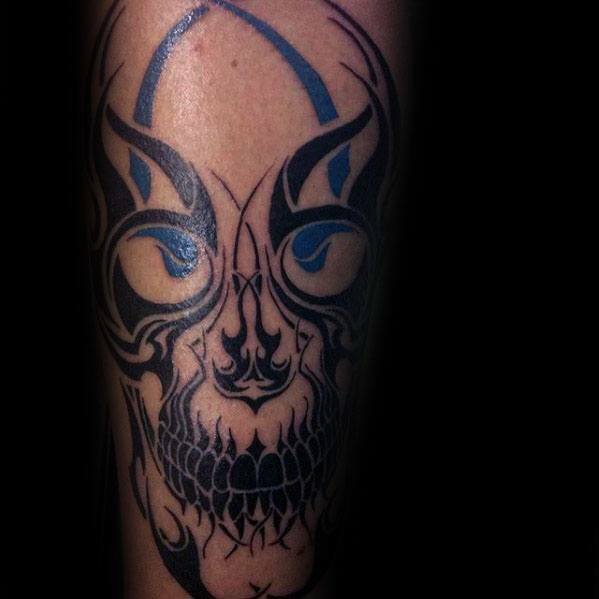 Determination is the sensation for his motivation.